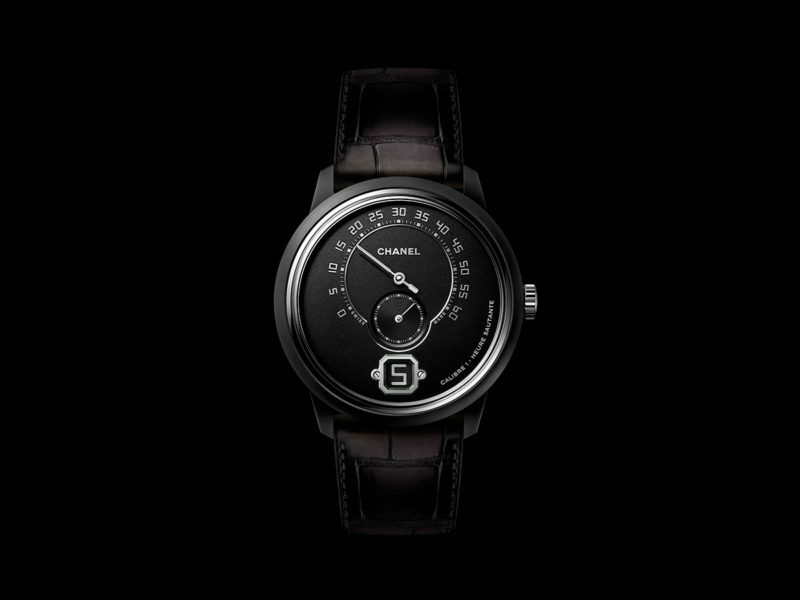 A monochromatic black rendition of Chanel’s first men’s watch. 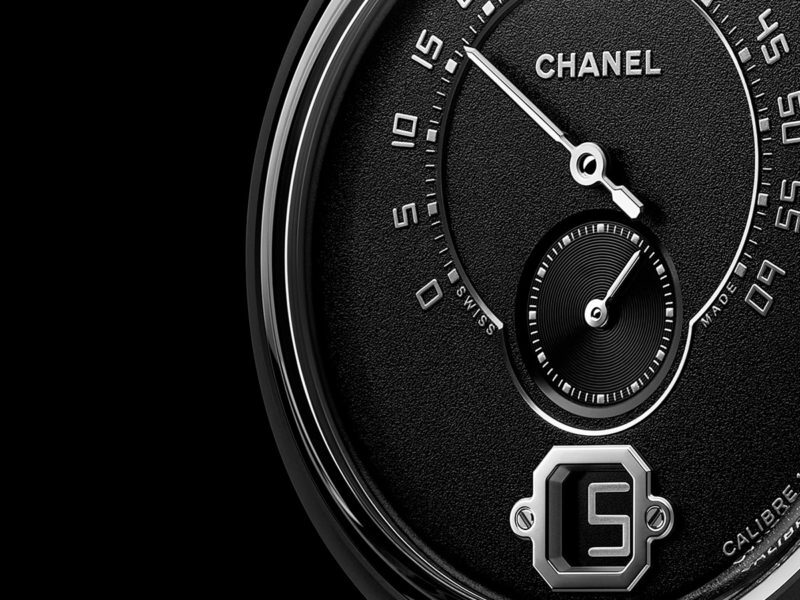 If the original Chanel Monsieur’s dial design wasn’t bold enough, try a blacked-out version. 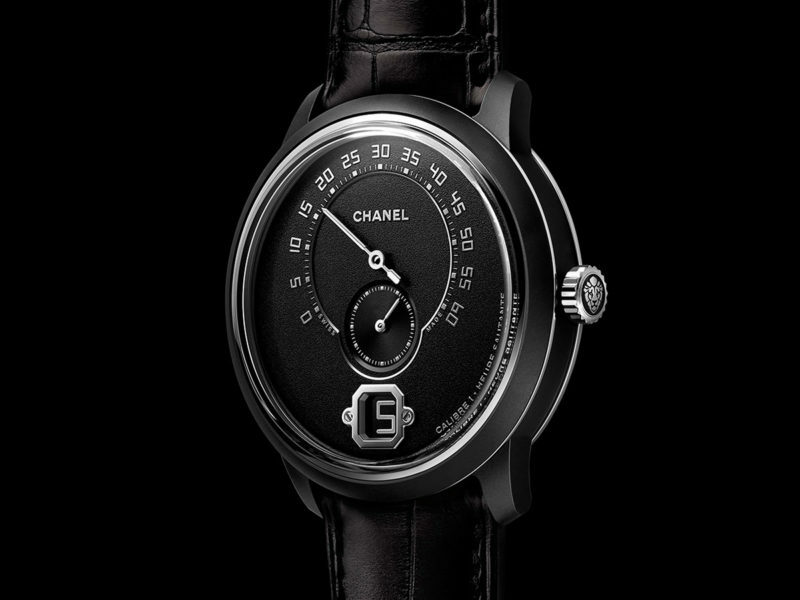 The Chanel Monsieur Édition Noire is a monochromatic black rendition of the Monsieur, sporting a black alligator strap, black ceramic case, and matte black dial. Everything else is exactly the same as the previous Monsieur editions, and that’s good. The Monsieur de Chanel was the French brand’s first foray into men’s watches – and also the first to feature an in-house movement. And Chanel absolutely nailed it. The beautiful Gauthier-developed Caliber 1 movement with a 3-day power reserve can be admired from the sapphire case back. The Édition Noire’s dial includes raised silver details, a jump hour window, and a retrograde minute hand that moves across a 240-degree arc. The watch measures 40mm in diameter and 10mm in thickness, the perfect size for a modern dress watch. 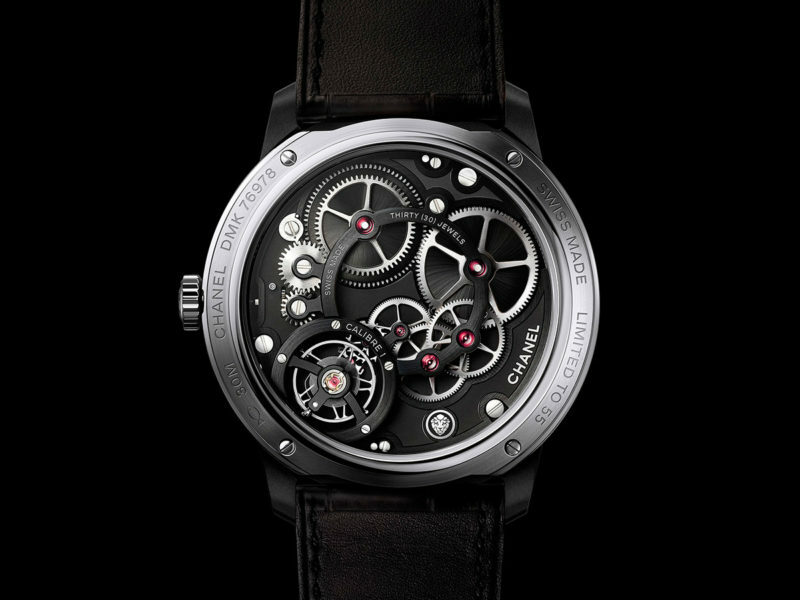 The Chanel Monsieur Édition Noire is limited to 55 pieces.